WWE has announced the stipulation for AJ Styles vs. Shinsuke Nakamura at Money in the Bank. It will be Nakamura challenging for Styles' WWE Championship in a last man standing match. Nakamura confirmed that tonight after brawling with Styles, laying him out with a steel chair and a Kinshasa, and counting to 10. Nakamura defeated Styles in a non-title match last week where the winner would pick the stipulation for Money in the Bank. Dave Meltzer reported two weeks ago that the last man standing stipulation had been talked about for the pay-per-view. Their next match will be the fifth time Styles and Nakamura have faced each other on television or PPV this year. 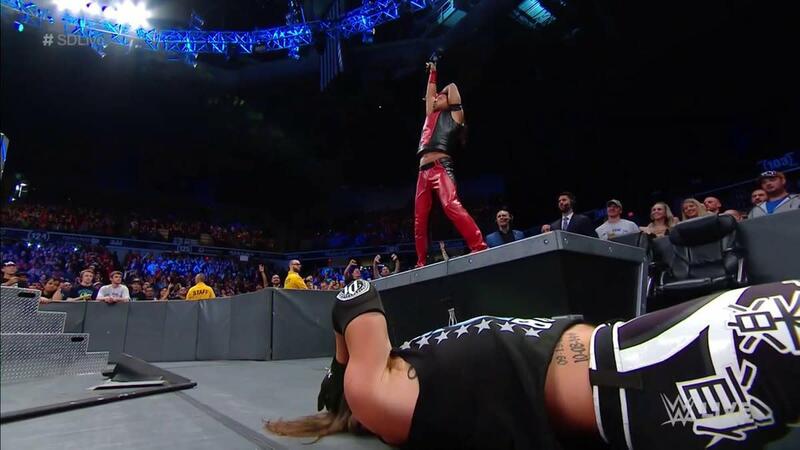 At Backlash, their no disqualification match ended without a decisive finish as Styles and Nakamura simultaneously low blowed each other and couldn't make the referee's 10 count. Money in the Bank is taking place at the Allstate Arena in Rosemont, Illinois on June 17th.